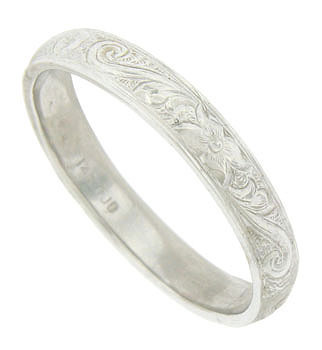 This elegant 14K white gold mens wedding band is decorated with intricate organic engraving. 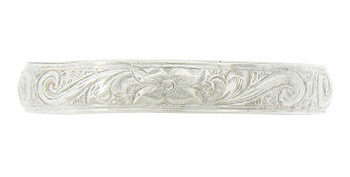 The antique style wedding ring measures 3.47 mm in width. Size 8 1/2. We cannot re-size.